At the end of March 2017, the Wildlife Center began admitting this year's bear cubs from locations throughout Virginia. These bears were likely born between early January to mid-February of 2017. In most cases, the cubs were separated from their mothers. 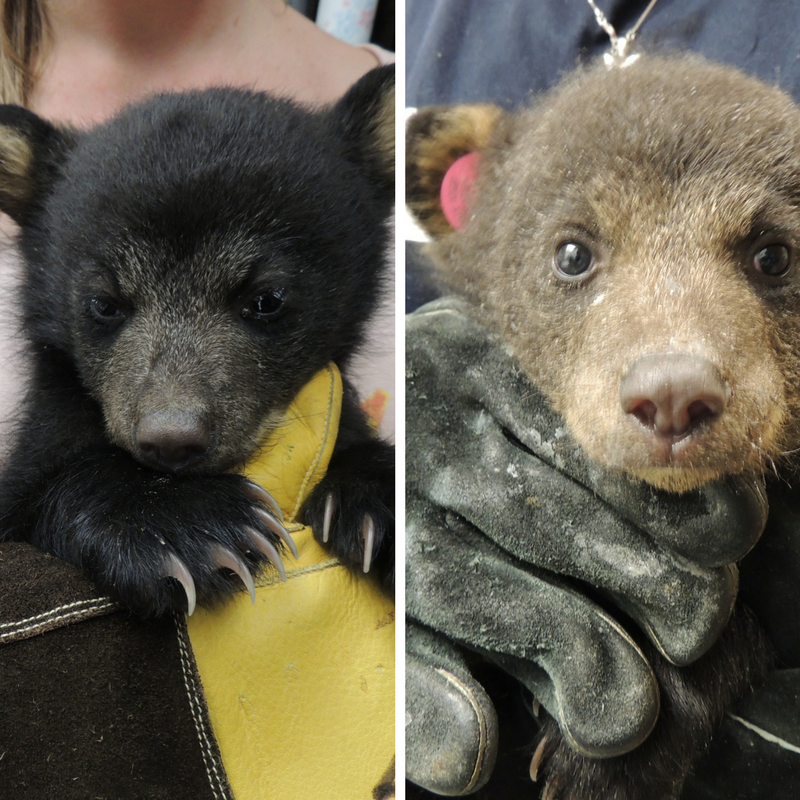 On June 6, the Wildlife Center admitted two orphaned cubs from Amherst County – Black Bear cubs #18-1315 and #18-1316. On May 24, a Black Bear cub was found by the side of the road in Highland County. The Department of Game & Inland Fisheries responded to the scene and were able to capture and transport the bear to the Wildlife Center. Upon admission, Dr. Monica examined the small cub. 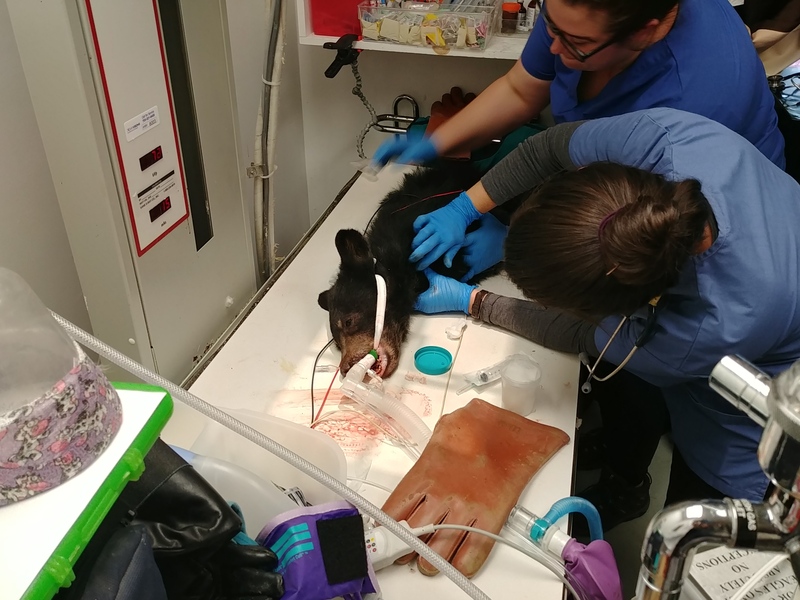 There was blood coming from one of the bear’s hind legs; Dr. Monica found a significant laceration on the female cub’s back left leg, with exposed and ruptured muscle. Radiographs revealed fractures of the left tibia and femur. Blood work and a skin scraping were within normal limits. The bear weighed 2.18 kg. On April 17, a man was driving home from work when he saw a young Black Bear cub sitting by the side of the road. He watched the cub for about an hour; there was no sign of the sow, but the cub kept approaching a flooded creek. After no signs of the sow, the rescuer picked up the cub and called the Department of Game & Inland Fisheries. A biologist picked up the cub, and the young bear was transported to the Wildlife Center of Virginia that same day. On Thursday, April 12, a female bear was hit and killed while crossing the road in Franklin County, Virginia. She had two cubs with her, both of which were rescued by Virginia State Police. 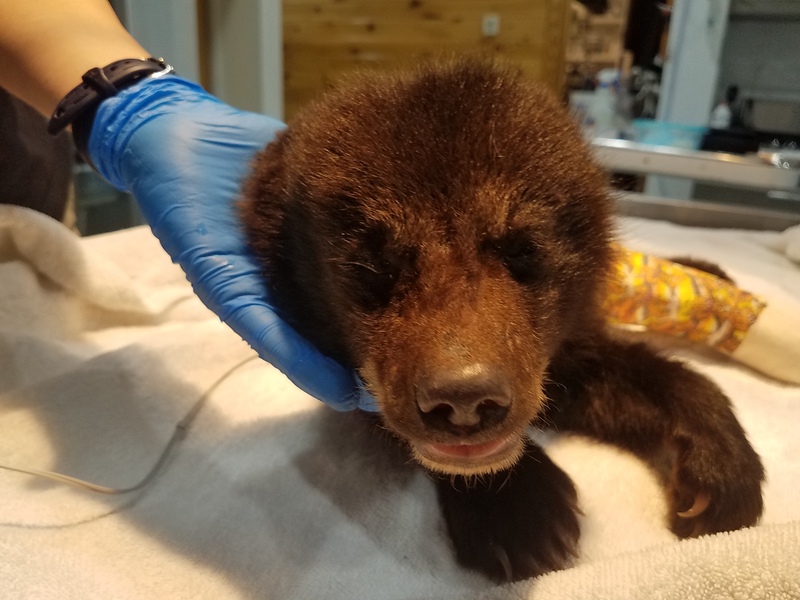 The cubs were taken to the Southwest Virginia Wildlife Center on the evening of Friday, April 13 and within a couple of hours were picked up and transported to the Wildlife Center of Virginia by outreach coordinator Raina. 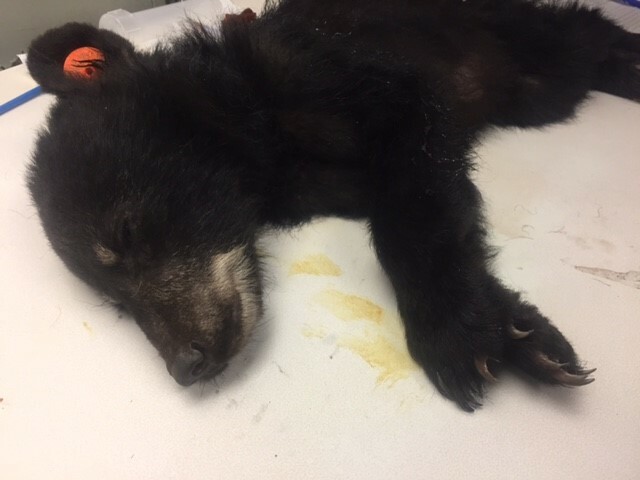 On November 7, a male Black Bear cub was admitted to the Center from Botetourt County. The cub reportedly wandered into a Kangaroo Mart store and was trapped in a storage room. Employees called Animal Control; an officer was able to capture the cub and then called the Department of Game and Inland Fisheries. A biologist responded to the scene and transported the cub to the Wildlife Center. On March 15, the Center admitted a female Black Bear yearling from Albemarle County. The bear had been spotted in a tree in a homeowner’s yard for several days; the homeowners thought the bear was lethargic, so they set a hunting dog box out one evening and were able to catch the bear. The Center and DGIF discussed the situation and decided that the bear should be examined by Center veterinarians.